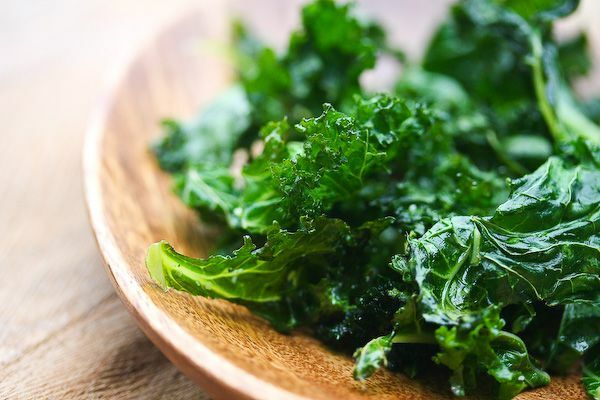 • Fresh young crispy kale can be used raw in salads, especially if properly chopped into thin ribbons, then massaged and marinated with sea salt and lemon. • Mature leaves and stalks are typically cooked or sautéed. • Tuscan kale leaves are popular winter staples in all over Mediterranean, used in soups, stews, salads, pizza, and pasta. • The leaves also used in the variety of traditional kale recipes with potatoes, green beans, poultry, and meat. • It can be baked with olive oil and sea salt for a yummy kale chip snack. • In Japan, fresh kale juice is quite popular. If you combine it with carrot, beet, apple, lemon and ginger you don’t even know it’s there. Or, if you’re into juicing it makes for a great ‘green drink’ ingredient. In large serving bowl, slice your kale into super thin ribbons, add half- three quarters of lemon juice, a drizzle of oil and a little sea salt. Massage until the kale starts to soften and wilt, 2 to 3 minutes. It will start to break down the cellulose, and shrink a bit. Set aside while you make the dressing. In a small bowl, whisk remaining lemon juice with the agave nectar and lots of freshly ground black pepper. Stream in the 1/4 cup of oil while whisking until a dressing forms, and you like how it tastes. Pour the dressing over the kale, and add the chopped cucumber, mango and sesame seeds.